The one aspect of Gor Mahia that has been lagging behind this season is the attack which suffered a severe setback with the departure of Meddie Kagere, Michael Olunga and Ali Abondo. That appears set to change. The players are fighting to impress the new coach and appear sharper and hungrier. 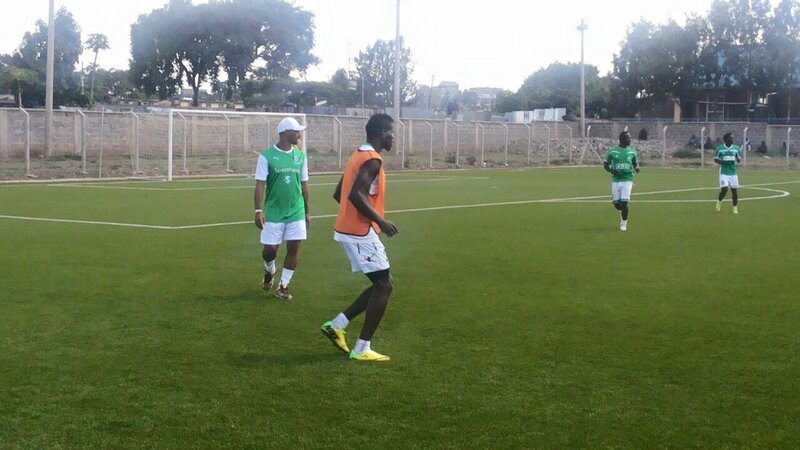 Reports among those watching the training suggest that Enock Agwanda has shed a lot of kilograms and looks much fitter. George Odhiambo “Blackberry”looks much sharper. Perhaps it will take the Brazilian tactician to coax the Blackberry out of 2010 back. Then there is Edmond Murai who scored three goals in the friendly matches this past week. Added to this is the fact that the much awaited debut of Jacque Tuyisenge will likely happen this weekend. Tuyisenge played in all three friendlies and even logged 90 minutes against Langata Gremio and the new coach was impressed. But Tuyisenge is not guaranteed a place in the starting line-up. He will have to battle the other strikers. Tuyisenge who has been eager to get on the field, is excited at the prospect of playing soon. One player who was surprisingly missing from the scoring chart is Jacob Keli. A lot was expected from the former Nkana FC striker. he has yet to hit top form. 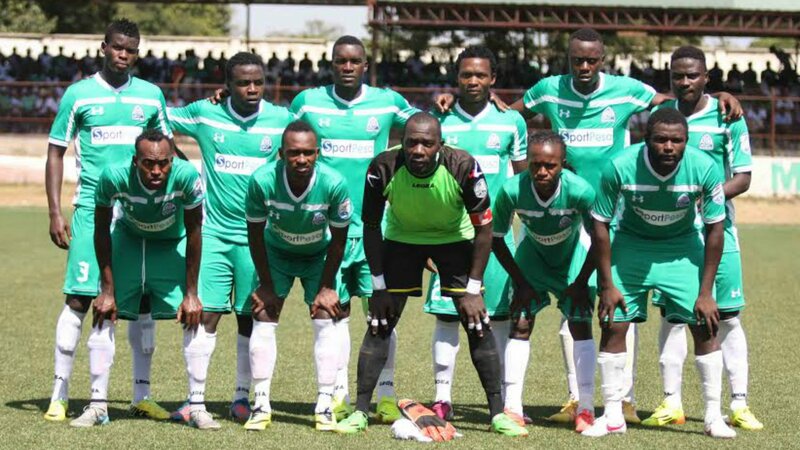 Gor Mahia will take on Kakamega Homeboyz at Mumias complex this weekend. The match will be televised live and is a chance for fans to see if Ze Maria’s philosophy has taken hold and whether it is effective. New Gor Mahia coach Jose Marcelo Ferreira has been working with the team for two weeks now and he is satisfied with the progress the team is making towards implementing his new philosophy. As luck would have it, the coach arrived in Kenya and had two weeks to install his playing style before any league fixture. He has overseen three friendly matches so far, all at Camp Toyoyo. But that stadium has a new artificial surface that is unlike many other local stadia. However Ze Maria is promising vast improvements when Gor Mahia resumes league play this coming weekend against Kakamega Homeboyz at Mumias Complex. “There are few areas we will improve but I believe we will be a different outfit when the league resumes,” he continued. After playing two matches, against lower tier teams, Gor Mahia played Posta Rangers and won 1-0. Edmond Murai, who came on as a substitute, scored the goal. “We needed a tough friendly before the league resume to gauge our fitness. It was impressive to see the players give a good fight despite it being a build-up match,” continued the coach. It will be Gor Mahia’s first league fixture with a revamped technical bench. 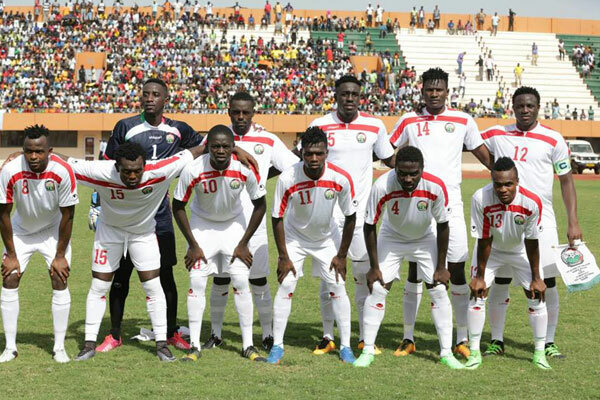 Harambee stars fell to one of their their lowest points yet when they were beaten at home by Guinea Bissau, a team ranked 40 places below them in the FIFA rankings. It marks the second time that Stars have lost t Guinea Bissau this week. Kenya is virtually out of the running for a place at next year’s Africa Cup of Nations finals after losing 1-0 to Guinea Bissau in a qualifier in Nairobi on Sunday. Sanchez Semedo Cicero Casmiro’s contentious goal nine minutes from time handed Stars its third loss in four games leaving them bottom of group E with one point. The hosts are also set to face sanctions after crowd trouble saw the match stopped for over half an hour as fans protested the awarding of Bissau’s goal. Police had to fire teargas to disperse irate fans who bayed for the referee’s blood as well as the country’s football officials. Having lost 1-0 to the visitors last weekend, Stars needed victory to keep alive their faint hopes of earning a place in Gabon next year but after wasting chances, they were undone by a sucker punch nine minutes from time. Coach Stanley Okumbi will again be on the spotlight after he gambled by withdrawing two defenders and throwing on attackers as he sought to chase the game only for his side to be caught out at the back in cruel fashion. He made four changes to the side with Joackins Atudo, Teddy Akumu, Paul Were and Dennis Odhiambo handed starting berths. The home side looked purposeful and assured dominating possession in the early stages. The first sniff on goal came in the 21 minutes when Clifton Miheso headed an Odhiambo cross over the bar. Two minutes later, Wanyama sent Were through down the right but his cross was cleared by a combination of the Guinea keeper Mendes and defender Silva. On 24 minutes, Miheso cross was half cleared with Akumu forcing the keeper to a low save from 25 yards. Kenya was on the up and Michael Olunga flashed a right footed effort just wide on the half hour mark. Wanyama followed with a long range effort four minutes before halftime while Olunga miskicked from six yards out. There was still time for Wanyama to fire another shot narrowly wide before the breather. Okumbi made a tactical switch at halftime bringing on Jesse Were for James Situma and moving to a 3-4-3 formation. Olunga had Kenya’s best chance to score four minutes after resumption but his header trickled wide of a gaping goal. Stars peppered they Guinea goal with Wanyama, Omollo and Olunga all trying their luck but none troubled Mendes. Okumbi made his second change of the afternoon withdrawing Brian Mandela for Eric Johana. It meant that Kenya had only two defenders on the pitch and the visitors sounded a warning bell on 68 minutes when Cicero forced Arnold Origi to a fine save after a well constructed counter. Odhiambo then made a last ditch tackle on 76 minutes as Stars struggled to find balance. The goal arrived nine minutes from time when a corner found its way to Casmiro at the far post and though Origi saved his effort, the assistant referee deemed that the ball had crossed the line. The decision prompted furious reaction from Origi and the Kenyan players and the crowd soon joined in throwing projectiles onto the pitch and forcing security to fire teargas onto the stands and disperse them. Play was then halted for a lengthy period and when it resumed, the visitors easily saw off the remaining six minutes for their second over Kenya in five days. Starting XI: 1.Arnold Origi (GK), 2.James Situma,( 9.Jesse Were 46’) 21.Joackins Atudo, 5.Brian Mandela,( 10.Eric Johannah 78’) 3.Dennis Odhiambo, 6.Anthony Akumu, 12.Victor Wanyama (C), 19.Paul Were, 8.Johanna Omollo, 13.Clifton Miheso,( 7.Ovellah Ochieng 85) 14.Michael Olunga. After winning two matches against lower division teams, Gor Mahia beat Posta Rangers 1-0 in a friendly match at Camp Toyoyo on Saturday. It was their first win against a KPL side this season. Gor Mahia may finally be turning the corner after a poor start to the season. The winning goal came in the 77th minute via Edmond Murai who is quickly finding his way into the good graces of the new coach. Gor Mahia has won all three friendlies under the new coach and will be hoping to extend that form against Kakamega Homeboyz next week. Gor Mahia organizing secretary Ronald Ngala has announced that the club is very close to settling all outstanding player salaries and bonuses from the 2015 season. Players have been unhappy at the delay in settling the dues. Chairman Ambrose Rachier has announced that the club will harmonize salaries in order to reduce the disparity in wages between local players and foreign players. For several years now, there has been disquiet among some local players over this issue. “We feel like we are not valued yet we do either the same or some of us even more than them yet they are paid so much money. It is hurting,” one of the players previously stated to Capital FM. Rachier has announced that the club will be researching ways to ensure that new sponsorship money benefits players. Meanwhile Gor Mahia beat Langata Gremio 8-0 in a friendly match at Camp Toyoyo. Jacque Tuyisenge and Edmond Murai scored two goals each. Blackberry added another. 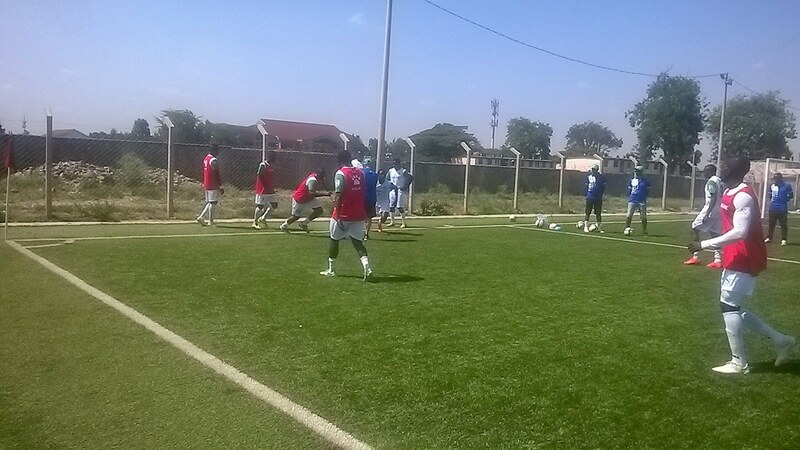 Gor Mahia youth team players also saw some action and played well. New coach Ze Maria has been working with the youth team as well. Whereas the team used to train once a day, Ze Maria has introduced a new schedule where players train twice a day in order to get them used to his philosophy much faster. “In Africa they like long balls and long passes, I want them to play one-meter passes,” explained the new coach. New FKF chair Nick Mwendwa and new Harambee stars coach Stan Okumbi have both come under fire for the lackadaisical display that saw Kenya lose to Guinea Bissau, a team that is ranked over 40 places below Kenya in the FIFA ranking. Mwendwa first came under fire for hiring Stan Okumbi, a person who has never achieved anything worthwhile as a coach. Then for sending 18 officials and only 12 local players to Guinea Bissau. While all these joyriders traveled, Mwendwa left experienced players like Francis Kahata, Harun Shakava and Collin Okoth. Fans who thought change was coming to Kenya football were soon disappointed at the realization that things remain the same. Then on Wednesday, Okumbi fielded Kariobangi Sharks players Pattillah Omoto in the starting line-up and Ovella Ochieng as a sub. Neither player has done anything worth a place in the starting line-up. He left experienced players like Anthony Akumu on the bench and Collins Okoth was left at home. Kariobangi Sharks is the team owned by Mwendwa. Fans soon realized why Okumbi was hired. The play of both players sub par. Mwendwa defended the decisions by saying that Kenya must invest in the youth. “If we do not give young players a chance then we have no future in football” said Mwendwa upon returning to Nairobi. Okumbi also came under fire for fielding Musa Mohamed at fullback yet he typically plays in central defence as well as fielding James Situma at left back. Situma typically plays on the right and Kenya had two good left backs on the bench: Omar Mbongi and Dennis Odhiambo. Musa Mohamed has been faulted for the goal scored by the Islanders. Okumbi defended himself by saying those players are good enough to play those positions. “Musa Mohamed used to play full back at Gor Mahia, while James Situma is a utility player who can play any position in defence” said Okumbi. Both Okumbi and Mwendwa hinted that some players who were dropped will be recalled. Stars face a tall order. They not only have to beat Guinea Bissau on Sunday, but must win all their remaining matches to stand any chance. They are currently at the bottom of the standings. Harambee stars narrow hopes for qualifying for the next edition of the Africa cup of nations dimmed further when they lost 0-1 to Guinea Bissau. The host’s lone goal was scored by Idrissa Camara in the 18th minute. Guinea dominated the early minutes of the match putting stars on the back foot, before settling in the game. Eric Johanna’s run in the right wing, was stopped by Agostinho Soares before he pulled the trigger after being put through by captain Victor Wanyama. The hosts replied almost immediately with Jose Mendes trying an acrobatic kick that never tested goalkeeper Arnold Origi . The first quarter saw the home side finish stronger urged by large Estadio 24 Setembro stadium crowd that enjoyed every moment. David Owino was called upon to cover clumsy Musa Mohamed who looked uncomfortable at right back . It never took long before the hosts capitalized on our mistakes with Idrissa Camara heading home in the 18th minute after Musa failed to deal with a cross from the right,leaving Origi helpless. After falling behind stars could have restored parity almost immediately but Clifton Miheso failed trouble Jonas Mendes in goal from a Eric Johanna cross. on check by the Guineans defence and was starved the ball for the better part of the half. Captain Wanyama showed no signs of fatigue despite arriving only hours to kick off as he bulldozed the midfield in to ensure a see saw affair in midfield. Okumbi made changes in the second half with Jesse Were coming in place of Eric Johanna, before off color Patilla Omoto who was a surprise starter made way for Antony Akumu the double change saw Kenya win win the midfield battle, but the hosts defense and time wasting tactics’ ensured their keeper was a spectator. Kenya threw everything upfront with the tightly marked Olunga switching to the right wing leaving Were as the lone striker upfront. Miheso was pulled off for Ochieng Ovella Ovella whose runs caused several nervy moments but still could not unlock the hosts’s defence. David Owino and James Situma were cautioned as stars surged forward to salvage the a point but. In a departure from recent times when Gor Mahia players played critical roles in the national team, there will be no current Gor Mahia player on the field against Guinea Bissau besides Musa Mohamed. Goalkeeper Boniface Oluoch is on the bench and is unlikely to see playing time barring an injury to Arnold Origi. On the field will be Michael Olunga, who will be depended upon for goals. Olunga scored several goals for Harambee stars and for the national U23 team in 2015. Also on the field will be former Kogalo players Anthony Akumu and David Owino who are now at Zambian side Zesco United. Harun Shakava and Francis Kahata were also dropped. The exclusion of Collins Okoth is difficult to explain. A surprise inclusion in the starting line-up is Pattilah Omoto who has failed to impress in the KPL. Its a big gamble for coach Stan Okumbi dropping an experienced player like Gattuso or even Kahata in favour of Omotto. Starting XI: Arnold Origi (GK), Musa Mohammed, James Situma, Brian Mandela, David Owino Patillah Omoto, Victor Wanyama (C) Eric Johanna, Johanna Omolo, Clifton Miheso, Michael Olunga. Subs: Boniface Oluoch (GK), Dennis Odhiambo, David King’atua, Anthony Akumu, Anthony Kimani, Michael Ovella Ochieng, Jesse Were. New FKF chair Nick Mwendwa has come under fire from among others former Gor Mahia player and coach Tobias Ocholla. The criticism comes due to the fact that the chartered flight taking Stars to Guinea Bissau had only 12 players and 18 officials. It is not clear why Mwendwa would bring so many joy riders. And this is a federation that Mwendwa claims is broke and unable to meet its financial obligations. The long awaited debut of Rwandese striker Jacque Tuyisenge may come sooner than expected. The Rwanda Amavubi skipper was optimistic after making an appearance during Gor Mahia’s 4-0 win over lower division side Uropa. “I feel happy to have recovered and play a match. It has been tough being out but I feel I can now play full 90 minutes of a competitive match. I’m optimistic that when I get back to the pitch I will be ready to give my best,” he said to Capital FM. Tuyisenge who cost Gor Mahia Ksh 4 million, has been in physical therapy ever since he picked up an injury while playing for Rwanda at the 2016 CHAN. He has been eager to get back on the field. Even while half fit, he has impressed the new coach Ze Maria. Skipper Jerim Onyango, whose career is undergoing a renaissance, is upbeat about the new coach. “The training has been superb under the new coach and everyone is looking forward to getting the team back on top. He is a very good trainer and I’m optimistic by the time the league resumes, we will have grasped his philosophy and ready to bite again,” said Jerim to Capital FM. And Gor Mahia will be eager to see what the new philosophy is all about. After having jettisoned coach Frank Nuttall in dramatic style, the Gor Mahia EC continued with their no prisoner taken approach when they pressed charges against a club official Josiah Oliech aka Kwaru. According to Ronald Ngala, Kwaru contravened the club’s constitution when he deliberately authored a letter calling for an Annual General Meeting (AGM) with elections as an item on the agenda, yet he is not a bona fide club official or a member of Gor’s Executive Council. A row is brewing between Gor Mahia Football Club and former official Josiah Oliech over a stolen letterhead. The 2015 Kenyan Premier League (KPL) champions have instituted legal proceedings against Oliech aka ‘Kwaru’ for allegedly stealing the club’s official letterhead and allegedly using it to propagate false information about Gor’s operations. According to official police statements recorded at Nyayo Stadium Police Post, Ronald Ngala, Gor’s acting Secretary General, claims that contrary to Gor Mahia club’s constitution, the Societies Act and the Sports Act 2013, Kwaru deliberately authored a letter calling for an Annual General Meeting (AGM) with elections as an item on the agenda, yet he is not a bona fide club official or a member of Gor’s Executive Council. “Oliech Kwaru has used the club’s letterhead to write a letter which he is not authorised to,” said Ngala in his statement with the police. As such, Gor has asked the Criminal Investigative Department (CID) of the Kenya Police Service to investigate the circumstances under which Kwaru used the club’s official letterhead. In their request, Ngala wants Kwaru to explain how he got the said documents and who authorised him to write to the Ministry of Sports, Culture and the Arts. Oliech, in his alleged letter to the Commissioner of Sports, had quoted sections of the club’s constitution and the Sports Act, giving notice of an Annual General Meeting. However, the former Sports Commissioner, Gordon Oluoch, faulted Kwaru’s alleged letter for being unprocedural. According to Oluoch, only the club’s official executive council can call for elections, and such a notice should be directed to members and not the ministry of Sports. “As far as supervision of elections is concerned, it is only the Registrar of Sports who should receive a copy of notice calling for elections, upon which the ministry will only send representatives as observers of the electoral process. We have no role whatsoever in calling for club elections,” said Oluoch who has since been elevated to the role of Director General, Sports Kenya. When contacted by The Nairobian, Kwaru dismissed the claims of theft and said that the club, under Ambrose Rachier’s leadership, was being economical with the truth. Kwaru argued that the current Gor Mahia office holders have violated the constitution, which requires that the club holds an Annual General Meeting and conduct elections after every two years. Kwaru, who formerly served Gor as an assistant Secretary General, said that immediately the Sports Act came into effect in 2013, Rachier ought to have called for an extra-ordinary meeting of all club members to institute a legal process to comply with the Sports Act. “I did not call for the elections as an imposter; it is the club that gave me the mandate in 2008, and again in 2014 to call for elections as a member and chair of Gor Mahia’s independent electoral board. I have all documents to prove that I have been in talks with Rachier and the executive committee as far as club elections are concerned. My appointment as the coordinator of elections still stands and at no point have I received any communication revoking or terminating my engagements with the club,” said Kwaru.